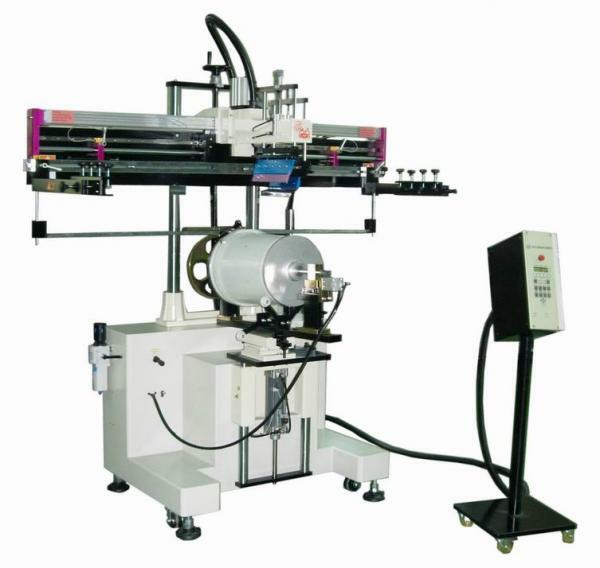 Suitable for all kinds of large jar and pail surface printing. A digital microprocessor control is being used on the unit with "DEFAULT" diagnostic system, easy for operation and maintenance. A durable and trouble free Germany made "BOSCH" or Japan made "SMC" pneumatic components have been used on the machine gives the most superior performance in process of printing. The working table can be easily adjusted, as wish, for a precision registration purpose. A lifting up and positioning way is designed to easy loading and unloading workpiece when in process of printing.